…the Serbia game: “There are two things that we want to install early on tomorrow. The first thing is tactics, which we will discuss today and tomorrow with the players. Second of all, we want the players, especially as it is a young team, to know that we completely trust them all. We want to develop and give them the responsibilities. We have to reply to setbacks with our own solutions. The players need the trust from us coaches in the next months. We want to make them realise that they will get the time they need. …the tactics: Joshua Kimmich will play in central midfield in the number 6 position. He played really well there in a combination with Toni Kroos, Leon Goretzka or Ilkay Gündogan. Flexibility is questioned. We are able to play with three or four at the back and that will be very important for the next few months. I don’t want to commit myself to one or the other as the team has to master both. If we can do this well, we won’t have any problems. 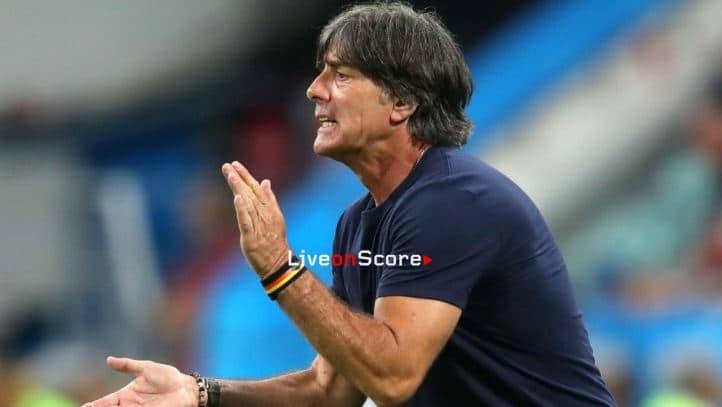 What we need to improve on is the defence once we have lost the ball – we were extremely vulnerable against the Netherlands. We also want to improve our defensive standards and transitional play. It doesn’t matter which system we play in, as long as we take advantage of our speed. We have had many games with lots of possession but no urgency going forward. This was improved recently in France, against the Netherlands and Russia. …the line-up: Serge Gnabry hasn’t been able to train the last few days and will not take part in final training and instead train individually. We have planned an intense training session for tomorrow and Serge should be back on Thursday. We haven’t made a decision in goal yet. It is clear that Niklas Süle and Antonio Rüdiger will play vital roles in defence as they have the experience now. …Leroy Sané: His development has been good in both the National team and Manchester City. He has put in some great performances, but what is more important to me is that he has taken a big step forward. He has really mastered his jobs on the pitch. He has incredible skills and has brought them to the pitch in the last six months. Leroy still has huge potential and can become an extremely important player for the Germany national team. …Marco Reus: Marco is in very good form and has been Dortmund’s key player. He has taken Dortmund to the top of the league. He has often been injured for us but we hope that he can replicate his club form and play a big role in our team. …possible pressure: If you make the decision to go to the qualifiers with young players and no alternative, then you are taking a risk. You do not know how quickly they will reach their potential. I’m convinced though that the young players will make it and so I’m ready to take that risk.